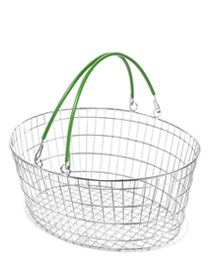 The Ellipse is a contemporary and ergonomically designed wire shopping basket with gently tapered sides and an oval shape giving an aesthetically pleasing look and feel. It has a zinc plated finish and comes with a choice of coloured handles or we can brand colour match. 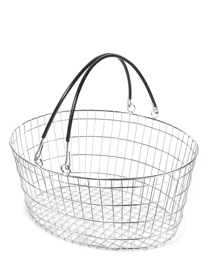 This unique hand basket design was conceived in the UK by Formbar and has full patent protection. 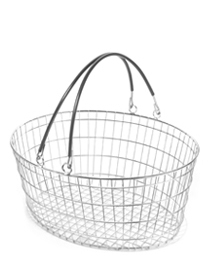 It is manufactured from high quality materials and is exclusively available from us. 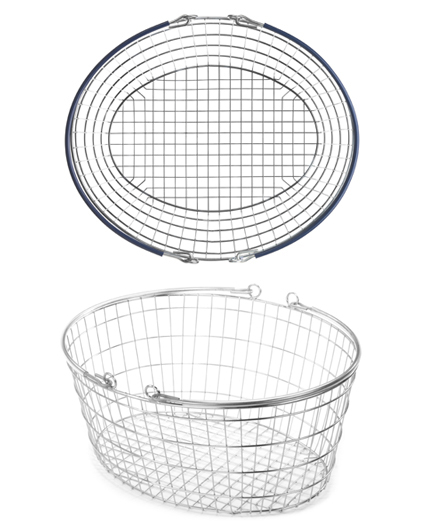 It is comfortable to carry, stacks neatly into a unique 'cradle' and the extra capacity encourages customers to purchase more goods.